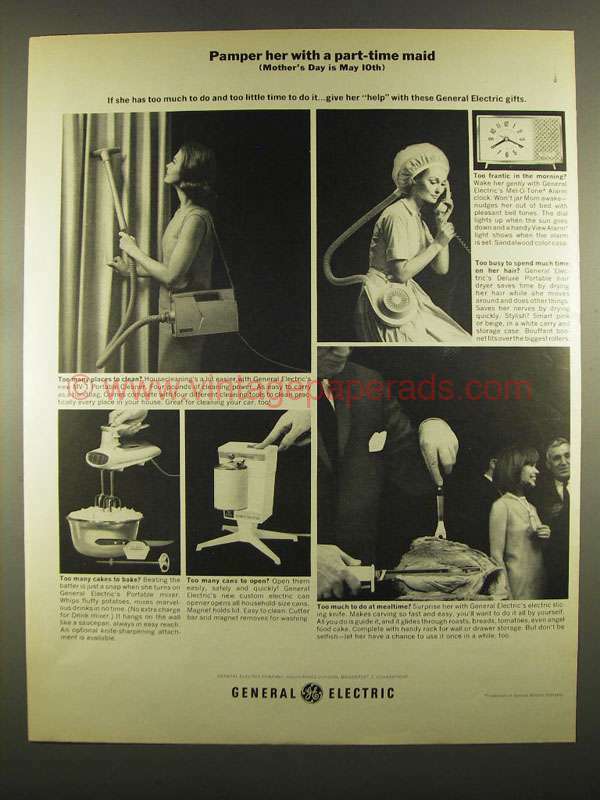 This is a 1964 ad for a General Electric MV-1 Portable Cleaner, Portable Mixer, Electric Can Opener, Mel-O-Tone Alarm Clock, Deluxe Portable Hair Dryer, Electric Slicing Knife! The size of the ad is approximately 10x13.5inches. The caption for this ad is 'Pamper her with a part-time maid (Mother's Day is May 10th)' The ad is in great condition. This vintage ad would look great framed and displayed! Add it to your collection today!